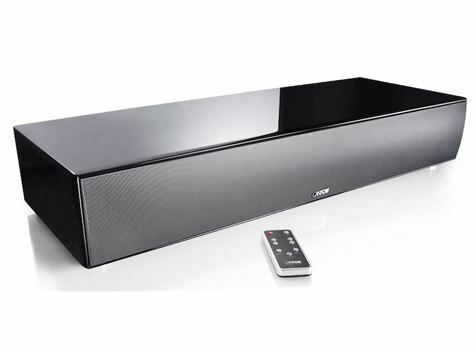 CANTON DM90.3 Full Theater Surround Sound Sound Bar. Dolby and Dts Surround. 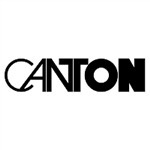 CANTON German Built and German Engineered, the DM90.3 Surround Theater Sound Bar is by far the very best in Sound Bar Technology ! 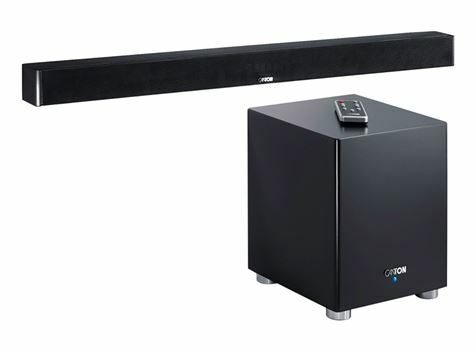 300 Watts RMS of Power, this system is designed for those who want the Cinema Experience with out the clutter of speakers and amplifiers in their cinema room. Simply add a projector system for the ultimate in Cinema experience. 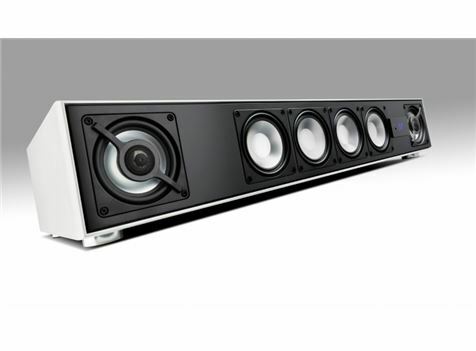 Increasing picture resolution through the HDMI 4K Processing on-board, while increasing the sound quality to the standards of Dolby Digital HD and DTS HD Surround Sound, anyone who buys a flat screen TV or a Cinema Projector today usually needs an additional external sound solution. Here the combination of stereo system and home cinema system is becoming more and more popular. In the massive HDF housing is a modern 300 Watt digital power amplifier with 2-way loudspeaker system and bass reflex system integrated. This allows the DM90.3 system to achieve optimum speech intelligibility, impressive spatiality and powerful bass. 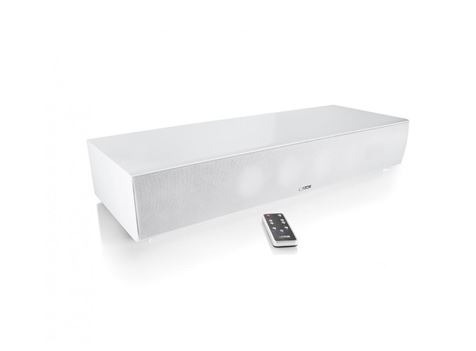 The DM90.3 system can be controlled with its own or with the remote control of your TV. All remote control functions of the DM90.3 system can be learned in just a few steps to the remote control codes of the TV set. This means: two devices, one remote control. Thanks to Bluetooth® interface and easy pairing, the DM system also captures the world of smartphones and tablet PCs. 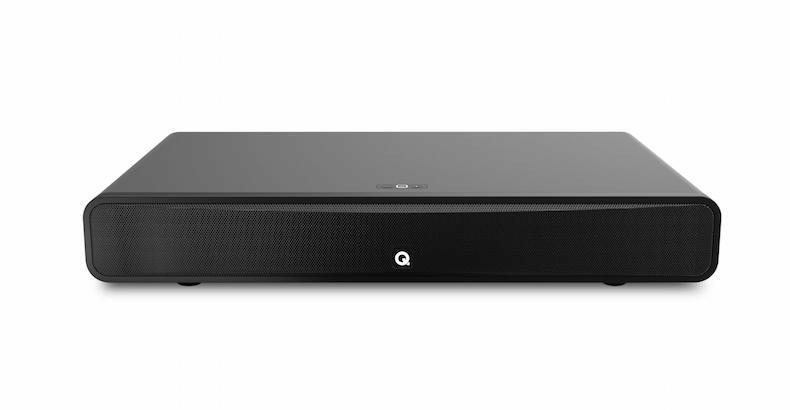 As a high-quality Bluetooth® loudspeaker, it ensures the loss-free transmission via apt-X® technology. Inspired by the exclusive furniture industry, the new DM 90.3 in black “high-gloss” and black and white “silk-matte” looks classy and modern and becomes an eye-catcher in every living room. 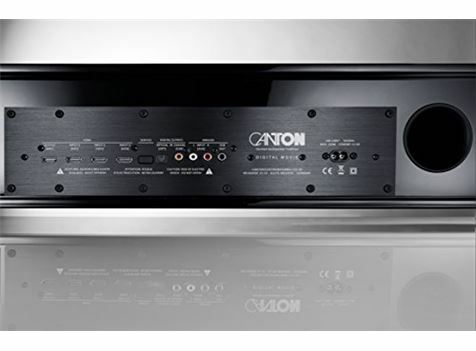 In addition to 3 HDMI inputs (with 3D, 4K) and an HDMI output (with ARC), the DM90.3 system has an optical digital input, a coaxial digital input and an analogue RCA input. 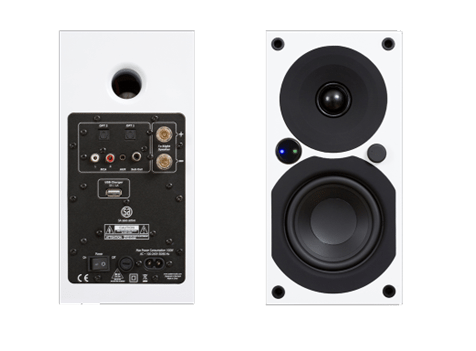 If necessary, an external subwoofer can be operated via the output sub-out.